Summertime happiness is a sky full of Chimney Swifts. I mark the seasons by the presence or absence of these amazing, twittering, tiny boomerangs. In Chicago, you can see them during the summer and into part of fall, after which they migrate to wintering habitat as far south as Peru. 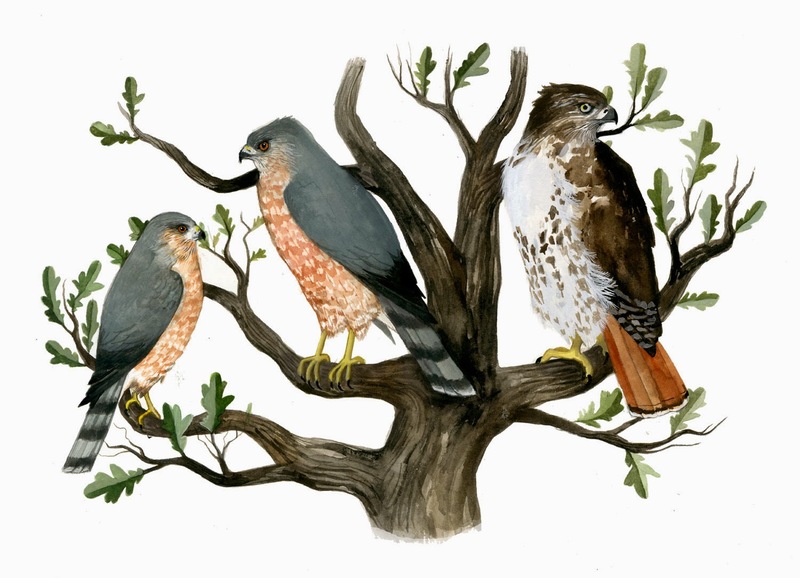 Before settlers began chopping up everything in sight, swifts would nest in the hollows of old growth trees. Now, as you can guess by the name, they have adapted to include shacking up in old chimneys. They have very small, strong feet and spiney shafts that extend a bit beyond their stumpy tails; both providing strength and support when clinging to vertical surfaces. Swifts, although superficially related to swallows, are actually considered closest to hummingbirds. 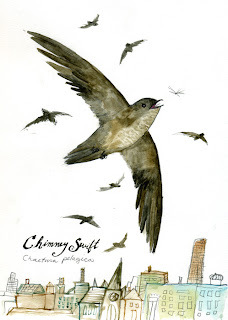 Chimney Swifts (Chaetura pelagica) belong to the subfamily Chaeturinae - or the spine tailed swifts. There are 2 other subfamilies of the family Apodidae (Swifts), and at least one genus that utilizes echolocation in a similar manner as bats. In my old Chicago 2 flat, sometimes I would climb to the roof in summer and watch the swarms of swifts constantly feeding and chattering away.